Otaheite apple; Pear shaped fruit with red skin and white flesh. Typically, they contain a single large seed. However, they may occasionally be seedless. 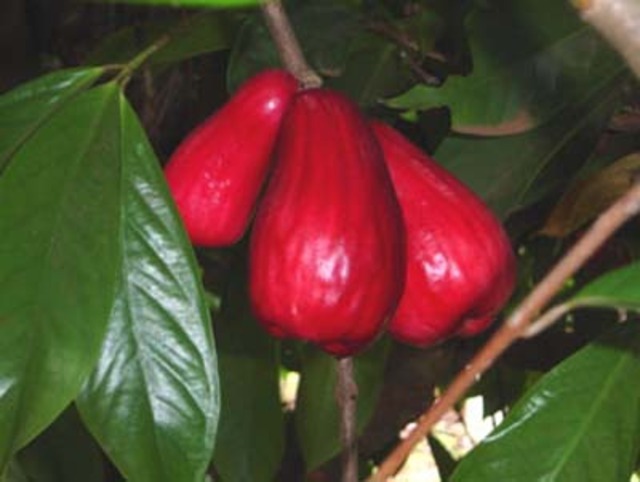 The fruit is sweet and is usually eaten raw or used to make drinks.